Free Consultation Worth £120 To See If Dental implants Are Right For You! 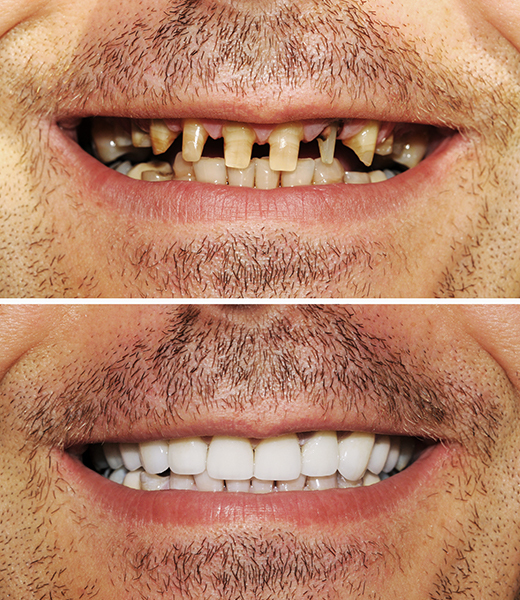 A single missing tooth or multiple missing teeth can be distressing. It can affect your confidence and your ability to smile. 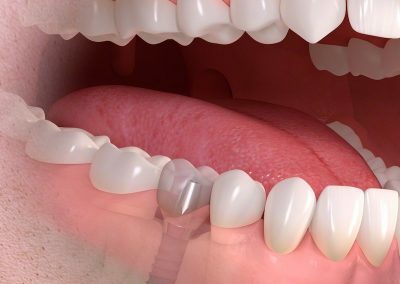 There are several missing tooth solutions, and these include dentures and dental bridges, but patients throughout Notting Hill, Chelsea and Kensington favour dental implants because they are the only real permanent option. Read on to find out more about how to replace missing teeth in Notting Hill, dental implants in Kensington and Chelsea, dental implants cost including how much a full set of teeth implants cost, plus whether dental implants are worth it! Your smile and your health can be greatly impacted by tooth loss. We do everything that we can to help patients enjoy their natural teeth for a lifetime. Statistics show, however, that many adults will lose a tooth before the age of fifty. 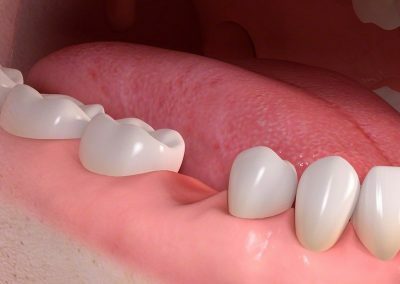 If you have lost one tooth or you need to replace a number of missing or unhealthy teeth, you have come to the right practice. Notting Hill Dental Clinic offers unparalleled care in a friendly environment. Our dentist has been serving patients for more than twenty five years. In addition to his general dental education and training, Dr. Fahami dedicated another two years to post-graduate training focused in the area of implantology and implant surgery. Call us today for a free consultation and to talk through your options for dental implants. 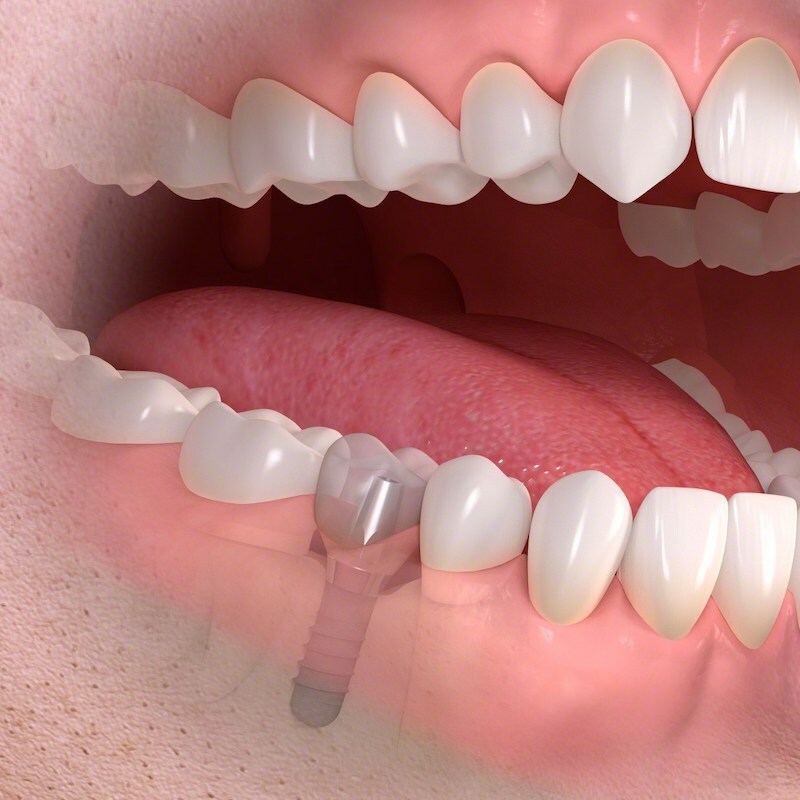 Dental implants are tiny prosthetics which replace the root of the tooth. These titanium posts are inserted into your jawbone and act naturally as the bone fuses around them. A tooth coloured crown is then attached to act as a missing tooth solution. For more than one missing tooth, a dental bridge can be used to replace several missing teeth. 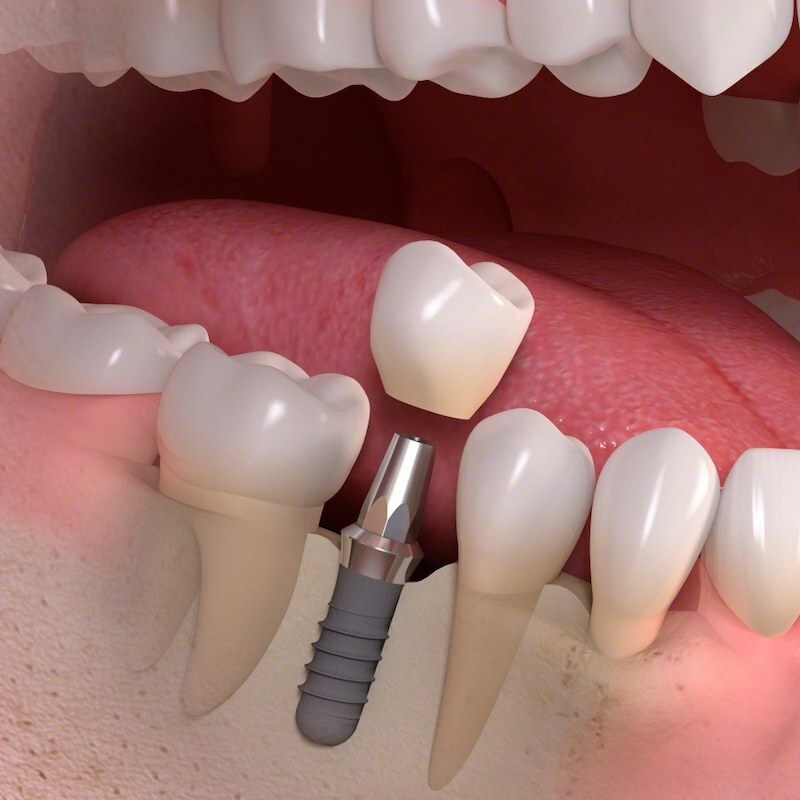 Dental implants can even be used to replace a full set of missing teeth. We have been placing implants for fifteen years and we continue to enjoy the reaction that our patients have when they realise they have regained their smile and their confidence. There are numerous benefits to dental implant treatment that cannot be found in other methods of tooth replacement. 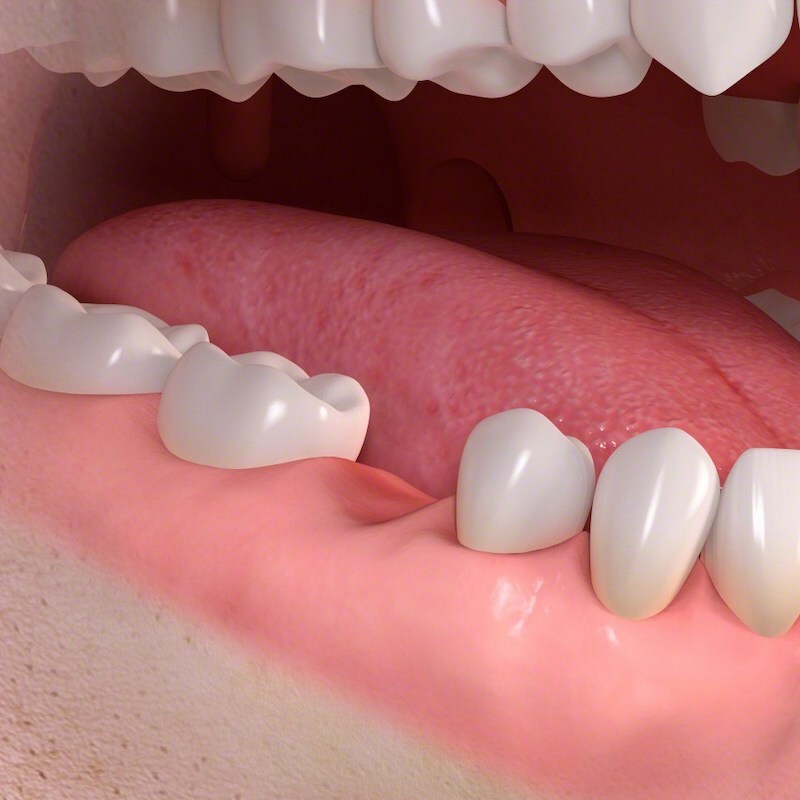 A single tooth can be replaced without relying on support from and therefore compromising the surrounding teeth. This facilitates the preservation of natural tooth structure for long term oral health. 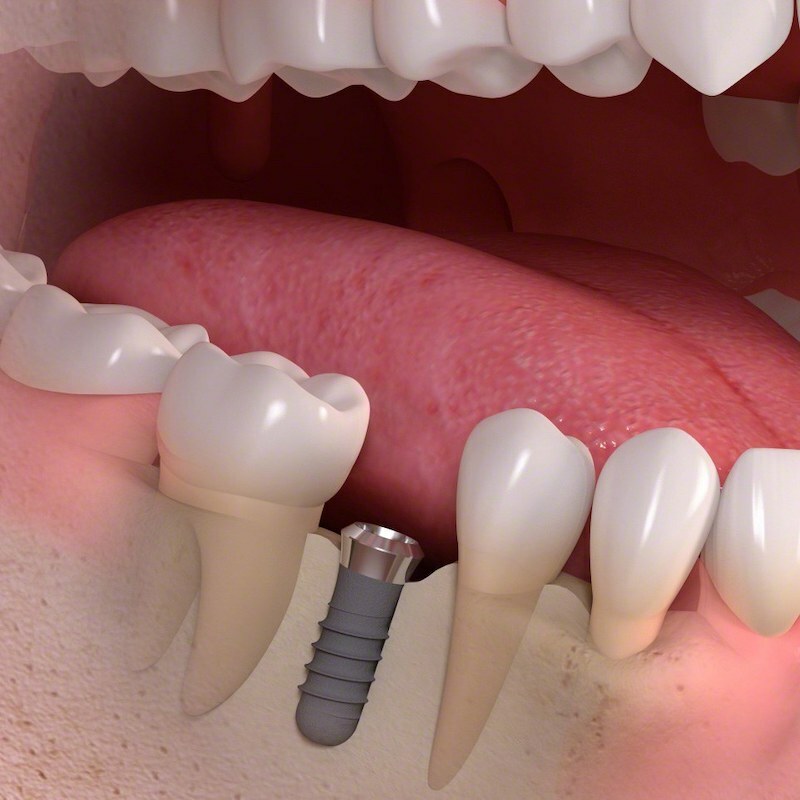 Implants may be used as support to a dental bridge aimed at replacing multiple missing teeth. Denture support can be obtained with the placement of as few as four dental implants. Implants act in the same manner as natural tooth roots, providing benefits both above and below the gums. One of the primary concerns with tooth loss is the subsequent loss of bone tissue that occurs over time. The longer the stimulation from natural roots or suitable replacements is lacking, the more degeneration occurs. When we place dental implants into the jaw to replace missing roots, stimulation to bone tissue can continue. We are happy to answer questions you may have about tooth loss and the replacement options available to you. To book your FREE consultation at Notting Hill Dental Clinic, call 020 72299102. Many people ask the question: “Are dental implants worth it?” We understand that the procedure may seem a bit daunting, but we are here to reassure you that the Notting Hill Dental Clinic has been fitting dental implants for fifteen years. We continue to enjoy seeing the reaction that patients from Chelsea, Kensington, Notting Hill and beyond have when they realise that they have regained their smile and their confidence. During your free consultation at the Notting Hill Dental Clinic, you will discuss your concerns about missing teeth with Dr Fahami. You will then be taken through the different missing tooth solutions. We will also talk through the relevant treatment fees and dental implant costs including the finance options. 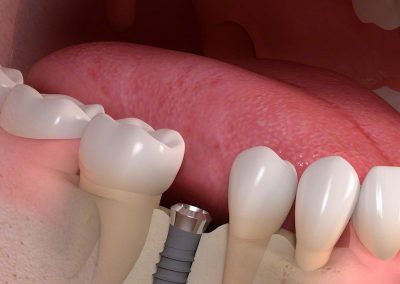 On the day of your dental implant fitting, under local anesthetic a small cut will be made into your jaw bone and the dental implant will be fitted, acting as your new tooth root. 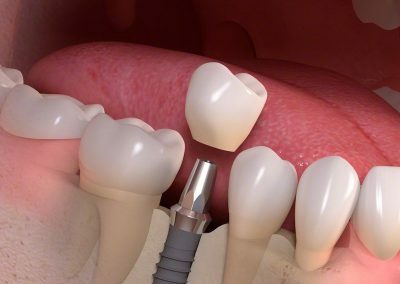 An artificial tooth will then be fitted to this implant either on the day or at a later appointment. In general, the dental implant placement will take less than an hour and the addition of the tooth will usually need about 30 minutes. How much do dental implant cost in London? Most patients interested in dental implants at Notting Hill Dental Clinic are keen to know how much dental implants cost and whether this makes dental implants worth it. The only way to get an accurate price is for our dentist to assess your specific case, but as a guide, one dental implant will cost from £1,650. Patients also frequently query “How much does a full set of teeth implants cost?” Again, this will depend upon your case, but as a guide, prices start from £11,500. We understand that the prices are high and so we offer affordable payment plans on a monthly basis with 0% APR. Replace missing teeth in Notting Hill permanently and regain the opportunity to smile again? We believe that dental implants ARE worth it! Book your Dental Implants appointment today! If you book your appointment online during working hours, we will contact you within two hours to confirm the date and time of your visit. *Free consultation with our treatment co-ordinator. By submitting this form you understand that your data is processed in accordance with our privacy noticeWe never share your information with anyone. Your privacy is very important and we make sure its kept 100% private. Great experience! My treatment lasted 4-5 months, as I was really strict with my eating schedule. The doctor was impressed as well with my progress. The staff was excellent, especially Brenda who was nice and helpful every single time I was there! Dr Michael was beyond patient and gave me the best advices for taking care of my Aligners and finishing my treatment on time.Thank you for what you did for me and for your professionalism, I am highly impressed! BEST DENTAL PRACTICE EVER!!!! I've been to so many dentists in the past, even on Harley St, and always had a bad experience from being overcharged to not feeling listened to or to the dentists being too painful when doing things to my teeth. Notting Hill Dental Clinic is just so different and really just everything you ever want from a dentist. It is very professional but also has that lovely family energy with Dr Michael and his wife both being the most amazing gentle dentists and lovely Brenda who is just a star! I had a 7 month Invisilign treatment here which has just completely changed my smile and I feel so much more confident. Even up to the last day I was still being a perfectionist and Dr Michael was just so lovely and really listened to me and helped me get the exact look I wanted by the time I left. I could always get an appointment on a day that suited me and it was always on time. The practice itself is beautiful. Honestly if you have any doubt in your mind go here. I have already recommended so many people to go here because they love my perfect sparkly teeth :))) Thank you to all of you!!! I did Invisalign at here and received very friendly, professional service. Dr Michael, Brenda & the team were always very helpful and I am extremely happy with the results. Would highly recommend them! Just completed my Invisalign treatment at the clinic and the results are great! Have been a regular for the past 9 months, and only have positive experience. I wish I had done this treatment earlier. Highly recommend! I've just completed my Invisalign treatment and am very pleased to have gone with Notting Hill Dental Clinic. It's hard to imagine a more comprehensive and comfortable experience with any other practice. Thoroughly recommended! Highly recommend Notting Hill Dental clinic. Incredibly professional and caring place.I have just finished my Invisalign treatment and can’t imagine how the whole process could have been so seemless. I am delighted with the result and the whole team at the practice may it almost painless! Underwent 6 months Invisalign Full treatment. All staff were professional, friendly and accommodating. Very happy with the entire process. Competitively priced too (diamond provider - so lore savings get passed to you). I have just completed my Invisalign journey with Dr Fahami. He was always patient, and thorough in explaining the process and what to expect. I’m very happy with my results!Dr Fahami, Brenda and the rest of the team were always pleasant, friendly and professional. The clinic is very clean and bright, and easy to get to. Highly recommend! This is by far the best dentist I’ve ever been too. Comfortable, professional, and with great results. I went in for Invisalign treatment and every visit was a pleasure. From Brenda on reception to Michael doing the work, they put me at ease and I left a very happy customer. Faultless service beginning to end and couldn’t be happier with the result. Have already recommended to friends looking to get Invisalign. I've had a great experience and can highly recommend the Notting Hill Dental Clinic. Dr. Fahami and his staff are professional, thorough and very friendly. Since day one the treatment was smooth sailing and I'm very satisfied with the results. Dr Michael Fahami provided me with an outstanding Invisalign Light service at Notting Hill Dental Clinic. This involved some inter proximal reduction (IPR) and fitting the aligners and tooth attachments. My case was somewhat complicated by veneers on two teeth, but Dr Fahami was confident that this would not be a problem and he was right. I cannot fault Dr Fahami and his excellent staff for their professionalism, knowledge and expertise. The results of my Invisalign Light treatment have exceeded my expectations and I would recommend Notting Hill Dental Clinic and Dr Fahami without hesitation. I'm so happy with my Invisalign results from Notting Hill Dental Clinic. Dr. Fahami explained everything thoroughly which put my mind at ease and my teeth were straighter within weeks. I highly recommend this dental clinic! I have had the most superb treatment from Notting Hill Dental Clinic. Having shopped around and hadn't felt comfortable with some other local dental providers, my mind was completely put at ease by the dentist and his the of professionals. Nothing felt rushed or pushy. I was consulted every step of the way and felt very reassured. The results are amazing! So pleased with the results to my smile and would highly recommend. Words cannot describe what Michael and the team have done for me. I initially sought treatment beginning of January 2018 as a New Years resolution and also because I'm getting married next year and didn't want to have crooked teeth!I saw Michael for an initial consultation and went through pricing etc without expecting too much. I asked around all types of braces but Michael explained that Invisalign can do everything the old style 'train tracks' can do so I decided that is the best way forward.Within 23 weeks (yes that is correct) my smile went from slightly better than Tom Cruise's old teeth to perfect alignment!What Michael has done is a feat of modern cosmetic dentistry. The precision which he worked to create space to move my teeth when they were already crowded was incredible. Michael is an incredibly skilled dentist that is a master at what he does. Invisalign isn't just as simple as scanning the teeth, order the trays and off you go. There is a lot of strategic work done in-between to make sure the transition between trays go smoothly, especially if you faced the predicament I did of not having enough space for the teeth to actually get aligned. Michael made the whole process easy and is a very light handed and easy going cosmetic dentist.Michael and the team are well worth seeing and Invisalign is one of those things that when you're done with it you'll ask why you didn't do it sooner.I would say I would go back again but to be fair, other than collect my retainers there isn't much that I need to do other than some whitening!Thanks a lot Michael, Charli (I think thats your name apologies if I got it wrong!) and Brenda for changing my life! I would highly recommend Notting Hill Dental Clinic. The staff are all very helpful & friendly; the facilities clean & comfortable. The treatment provided was both excellent and competitively priced. I would return should I need any further orthodontic work. Overall i had a great experience, the reception staff were polite and professional and the doctor listened to my questions and explained everything that i couldnt understand. I would highly recommend invisalign, already my confidence has been lifted! Definitly a good place to get an envisilign treatment, very friendly and professional staff.I just finished a treatment with invisilign, after six months and I’m very happy with the result, it’s exactly what was expected. Very professional from start to finish very happy with the outcome. My Invisalign treatment with Dr. Fahami has been a great success and I could not be happier with my new smile! Dr. Fahami is very reassuring, warm and professional. The practice has all the latest technology and the team at the clinic are friendly and helpful. In a word: Excellent! My Invisalign treatment at the Notting Hill Dental Clinic was a great experience. From A to Z, my treatment has been personalized and professional. Utilizing the most advanced technology and treatment options, Dr. Fahami is a perfectionist who goes the extra mile to ensure that his patients always leave his office with a beautiful big smile. And, the office staff is always courteous and friendly. My smile is amazing and it has been a pleasure at each step! The reception is very welcoming and Dr. Fahami always welcomes me kindly. I have been at Notting Hill Dental Clinic for a year now, I was very happy to be able to receive invisalign treatment at the best price I could find. I even decided that it is more affordable to travel to London than having a treatment in Peterborough. Also, the invisalign treatment was very fast and trays are changed weekly, meanwhile, my friend who got inspired by me decided to try invisalign too in her town in Bishop and she has to change the trays every two weeks (thats rather not hygienic and slows down the teeth movement process), she pays more than me and her teeth were quite straight already but she has much longer treatment than me. So, I feel lucky to have found Notting Hill Dental Clinic to straighten my teeth. I even bought invisalign for my mother in the same clinic. Had an Invisalign treatment with Your Dream Teeth. All great, best monthly rates I could find in London and is working brilliantly. Had a great Invisalign treatment, super friendly, highly recommended. Currently correcting overcrowding of my teeth with Dr. Fahami using Invisalign. So far I’m very impressed, all the staff are extremely polite and friendly, the clinic is also very clean. Dr. Fahami has a very kind and friendly manner which is reflected in his work. I’m looking forward to my final result. Since I was a child my teeth have always been overcrowded with a terrible cross bite. At 52 years old I was finally in a position financially to begin a treatment. I was reading on the internet day and night and went to several orthodontist consultations. I had a doctor that took one look in my mouth and said he didn't want me as a patient because the case was too complicated!!! So I kept looking and finally found an elite clear braces provider - Nothing Hill Dental Clinic! You guys took a great care of me and I am so glad I met you! My teeth have never been so well positioned and white! Thank you! Start Your Smile Journey Today! Our skilled, experienced and friendly practitioners, and access to the best dental technologies is a great combination for creating your brand new smile. Looking for a dentist near Notting Hill, West London? Our Dental Clinic is located in Royal Borough of Kensington & Chelsea.